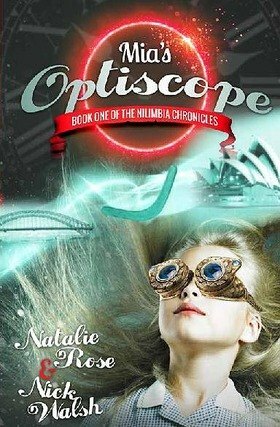 Natalie is an Australian freelance writer, children’s book author, illustrator and speaker. Her latest children’s book, Mia’s Optiscope, is soon to be available in paperback. Her current project, Dream Team Returns, the second in her Nilimbian Dreams series, will be published later this year. Natalie travelled extensively in her childhood and, in her early teens, spent time with family living in Texas before returning to Sydney to complete high school. She currently lives in Sydney with her husband of twelve years and two children. Natalie owns and operates Hatrick Catering from its kitchen in Balmain. She uses whatever time she has available to write, illustrate and read. Natalie’s first series of children’s fiction is inspired by Sydney and the extraordinary adventures to be found in its everyday life. Always looking to improve her skills, Natalie is affiliated with Mums Who Write and the Central Coast Writing Group. Recently retired, Nick Walsh worked in the telecommunication industry in several countries before returning to live on the NSW Central Coast. Nick now combines writing and illustrating with travelling, a large family including eight grandchildren and doing nothing in particular. Nick has co-founded a couple of start-up telecommunications businesses and with former business partner, Natalie Rose, he is collaborating on writing and illustrating the Nilimbian Chronicles series of children’s adventure.